Staff are friendly and the owner is very professional and personable. 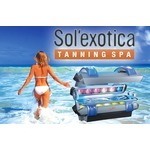 They offer tanning,lash extensions, microbladding, spa services and red light theraphy. It is open 7 days a week and every month Lori has a new deal of the month. You have to go there ! It's the biggest salon in Quebec city! They own 30 tanning bed, and they have a lot of different options. Price are nice, people are nice, music is nice! You don't need to have an appointements so just go there and make a tan ! Love this Tanning Salon for so many reasons. Wonderful beds for each level and a leg tanner is a nice bonus. Open 7 days a week and convenient hours for everyone. Always pleasant and helpful staff. 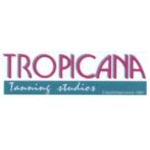 Staff are friendly and the selection of lotions / after tans is really great. I love how clean the salon is and how I know I'm getting a great tan and a little pick me up during the winter when we just don't see the sun.. ever! I've visited this tanning salon many times over the years . I really enjoy going there . 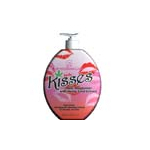 They have the best lotions there and some really nice clothing . I would recommend this salon to any one . Great place on Queensquay if you want a nice tanning before the vacay! High end, very clean, nice staff and brand new machines. To recommend !!!! Staff are friendly, courteous and go out of their way to assist you. Cindy, Amy and Hayley keep up the good work. I have never had to wait to tan at California Tan as they have so many beds! The staff is always super nice and welcoming. They don't have the new super fancy beds but I find I get the best tan with their beds regardless. got a really dark tan ! loved it..beautiful store and beds were hot hot hot!